UK drug related deaths are still rising: So where is NICE? Susan Mayor, 5 September, has done well to draw attention to 2 reports that reveal “the numbers of people dying because of poisoning from legal and illegal drugs are still increasing”  The first report said “Almost a third of the deaths where specific drugs were mentioned on the death certificate were related to heroin or morphine” [1, 2] The second report from St George’s University of London showed a 2.7% rise in the number of drug related deaths confirmed by inquest. Here too “Heroin and morphine accounted for most of these deaths” . And these were the very drugs that the NCEPOD Report  found had produced deaths in sickle cell disease patients from overdose, and about which I continued to protest [5- 8]. HOW LONG WILL THIS CONTINUE FOR? How long this situation is destined to continue is not clear. Writing to the Prime Minister and Health Ministers as I did, produced a response from <?xml:namespace prefix = st1 ns = "urn:schemas-microsoft-com:office:smarttags" />Downing Street , but other ministers did not even bother to acknowledge my letters of concern. The United States of America has banned Diamorphine (Heroin) from all clinical practice , and that great country does not even have a National Institute of Health and Clinical Excellence (NICE). I would dearly want to know what percentage of the members of NICE are practicing Clinicians. Do they not know that Diamorphine suppresses respiration thus producing more in vivo sickling in sickle cell crisis [10, 11, 12]? Never mind how many UK Professors of Haematology approve of the practice, but do the Clinicians on NICE not know that it is this “legal” Diamorphine that (as Susan Mayor writes) is pushing up “the numbers of people dying because of poisoning from legal and illegal drugs” ? IS MY PROTEST JUSTIFIED OR NOT? But why do I continue protesting like this? ANSWER: First of all, I did not train in the bush somewhere in Africa. I was trained in London University’s Westminster Hospital School of Medicine by Physicians and Surgeons of King George VI and Queen Elisabeth II. My teachers taught me never to give Diamorphine or morphine to someone who could not breathe and whose red cells were bound to sickle further and clog up vital organs . Secondly, I was second born of my parents’ 11 children 3 of whom had sickle cell disease, allowing me to know much about the disease before I went to university . Thirdly, I was once in charge of the largest sickle cell disease clinic in the world, seeing personally hundreds of patients in sickle cell crisis [15, 16], salvaging many to grow up to use their brilliant non-sickling genes to achieve great things later in life, an experience which led me to begin writing about the sickle cell disease patient more than 44 years ago . In the light of the above I make no apologies to take it upon myself to advise NICE to stop standing on the sidelines, and add to their many pronouncements one that forbids the “legal” use of Heroin (Diamorphine) for sickle cell disease patients. This, at least, was one thing NICE could learn from the USA . 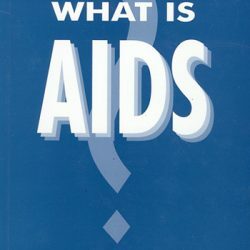 The real answer for now, and the future, as I have been saying for decades is Genetic Counselling and Family Planning [18, 19] warning my fellow Africans that if they did not check themselves for a beta-globin gene variant (an ACHE gene) they might suddenly find themselves with a child born with an ACHEACHE phenotype (ACHE from father and ACHE from mother), like Sickle Cell Disease, and “the genetic burden on the National Health Service will go up and up” . If born in the UK, the child could never escape Diamorphine treatment in sickle cell crisis. Was that really a prospect my country men and women would cherish? 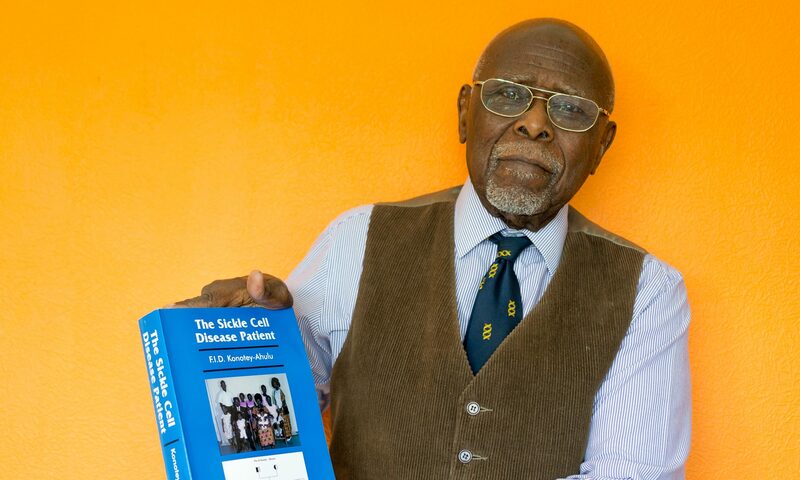 Felix I D Konotey-Ahulu MD(Lond) FRCP DTMH Dr Kwegyir Aggrey Distinguished Professor of Human Genetics, University of Cape Coast, Ghana and Consultant Physician Genetic Counsellor in Sickle & Other Haemoglobinopathies, 10 Harley Street London W1G 9PF. 2 Deaths related to drug poisoning www.statistics.gov.uk/pdfdir/dgdths0809.pdf August 2009. 9 Ballas SK. Sickle Cell Pain. IASP Press. Seattle 1998. 16 Konotey-Ahulu FID. 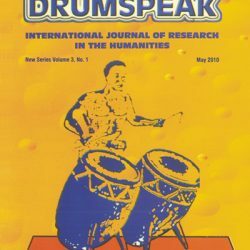 The sickle cell disease patient: natural history from a clinico-epidemiological study of the first 1550 patients of Korle Bu Hospital Sickle Cell Clinic. Watford Tetteh-A’Domeno Company 1996 & The Macmillan Press Ltd, London 1991/1992. 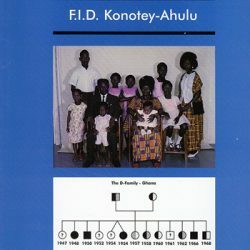 18 Konotey-Ahulu FID. Sickle Cell Disease: The Case for Family Planning. Accra. ASTAB Books, Ltd 1973; 32 pages. 19 Ringelhann B, Konotey-Ahulu FID. Hemoglobinopathies and thalassemias in Mediterranean areas and in West Africa: Historical and other perspectives 1910 to 1997 – A Century Review. Atti dell’Accademia dell Science di Ferrara ( Milan) 1998; 74: 267-307. Next PostNext Sickle Cell Disease Patients dying from Opiates: Why no co-operation among doctors?